Corporate uniforms help to reinforce a brand image in the minds of key industry stakeholders, employers, and customers. Many successful organizations are those with the right corporate uniforms that give appropriate color theme effects. The desired brand and corporate image will not, however, come so easily. A lot of research and reflection is necessary in order to choose a corporate uniform that fits the niche and mission of any organization. Besides, corporate executives should make sure that the uniforms look official and professional, fit properly (neither too tight nor too loose), have the company logo placed at the right place, are of a durable easy-to-clean fabric, and of decent colors. 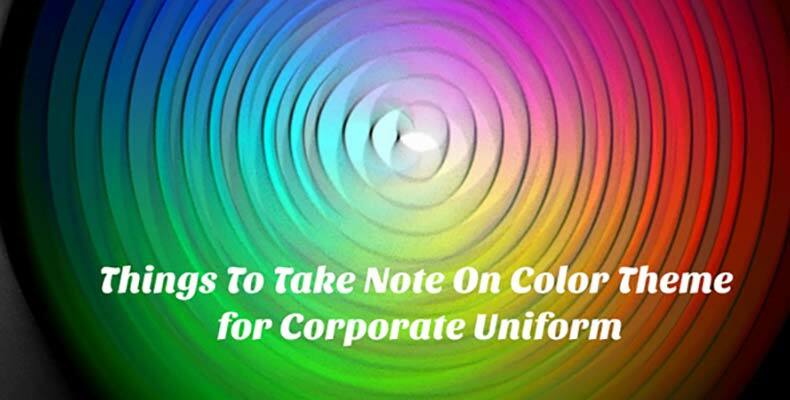 Some companies decide to opt for uniforms of a specific color theme when they have already created a specific brand recognition and image among customers. In their cases, the chosen color theme should in no way diminish the established identity, but should amplify that identity. If they make the wrong choices, though, the new effect may cause a serious dip in their earnings. Therefore, such companies should carefully blend their traditional offline images with trending uniform color ideas to create better effects. This may call for consulting corporate color themes experts to help assess and describe the prevailing consumer perception of the organization in terms of color. Furthermore, since branding depends exceedingly on client perception, a careful study of customer expectations and assumptions regarding those companies should be able to reveal the best color themes. Color theme choices are just as complex for startups as they are for established brands. Startups are breaking into a marketplace that is probably dominated by other established organizations. Those established organizations have already tuned the mindset of many potential clients to consider the services of products offered in their niche as coming in terms of specific brand color themes and corporate uniforms. While a startup can offer an innovative service or product, it must also present an alternatively better color theme that will challenge the perceptions of target clients. Essentially, startups must conduct their research well, know their target demographics, consider all possible alternatives to the most predominant color themes, and choose a theme which will convey their idea of quality, excellence, and reliability most profoundly. Finally, corporate uniforms must remain smart. A uniform color theme that is pastel or comes in similar pleasant colors is perfect. For companies that have people with different skin tones and shapes, striped or plain uniforms of grey, black, or navy colors will generally look good. Because navy color is very easy to accessorize, it is the most popularly used for corporate uniforms. Nonetheless, even a uniform of charcoal or black color theme will still appear stylish and modern, and will easily complement the other lilac, black, or white colors.